I proffer that this is an exaggeration not based in fact. For example, 35% of the reefs on the Big Island of Hawaii, which is where the aquarium trade is concentrated, are completely off-limits to livestock collectors. I suggest that this is hyperbole in the service of his ends, but Wintner remains firm. “They can do whatever they want,” he says. What about the permitting and reporting system? I ask. “Anyone with Internet access and 50 bucks can get a permit…and there are huge discrepancies between reported catch and actual catch,” Wintner counters. “The Division of Aquatic Resources [DAR] has admitted that the report of catch of 1 to 2 million fish per year is off by a factor of two to five times.” DAR’s published numbers do not bear any resemblance to those Wintner attributes to them. But still, I continue, the fishery is managed by the state to be sustainable, right? I have reams of data from marine scientists in my notebook on the table between us that clearly refute Wintner’s claims. While there are myriad ways to interpret the data, there is no scenario in which any one species has been overfished to the point where only a few brood fish remain. Based on my reading of the data, and the interviews I have already conducted, I suspect that the fishery needs to be better managed if it is to continue to be both robust and sustainable, but what I’m really interested in knowing is whether or not Wintner thinks the fishery itself is unsustainable at present. “Sustainability ignores the ethical issue,” Wintner responds. And that’s when I get it. 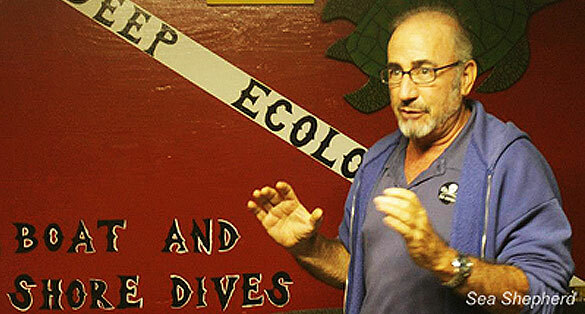 Debating whether or not the marine aquarium fishery is sustainable is not an option with Wintner because he doesn’t agree to use the accepted language of fisheries management when it comes to marine aquarium fishes. For him, this is not about sustainability—it is about morality. As our conversation continues, Wintner won’t even discuss the marine aquarium fishery as a fishery. As I drive the road to Hana later that day to meet with a cultural practitioner, I think back over my conversation with Wintner. His arguments are about ethics and morality. They are about his own individual relationships with fishes, not unlike the relationship between the girl and the Crosshatch Triggerfish I observed at the Waikiki Aquarium. I can respect that, even if I don’t agree with his position. That said, it is important to understand that Wintner is not making an argument against the so-called “trop” or AQ fishery, for, by his own admission, he does not acknowledge the existence of a marine aquarium fishery. While he sometimes uses data—hard numbers—to support his position, when pushed he always comes back to his central premise: the marine aquarium trade is immoral. I share this blast from the past with you today because I think my findings in 2010 regarding Wintner and his motivations and strategy hold true today, and it makes me very suspect of Operation Reef Defense. I have spent a lot of time in Hawaii since that article was published. I have spent countless hours with fisheries biologists and fishers, environmentalists and politicians. In short, I have immersed myself in researching the aquarium fishery in Hawaii and its continued path to becoming more transparent, better regulated and, ultimately, sustainable. Without getting into the specifics here, I can say with great confidence that the best available science does not support Wintner’s claims about the State’s aquarium fishery. Further, if the claims being made about the aquarium fishery were true, we should be very worried about other far larger fisheries in Hawaii that lack the data to demonstrate sustainability and the regulation to insure it. As I said back in 2011, and I’ll say again now, if Wintner believes keeping an animal in an aquarium is immoral, I can respect that. If he wants to make an argument that the aquarium trade should be banned because the act of collecting an animal and putting it in an aquarium is immoral, I can respect that. What I can’t respect is ignoring the best available science. What I can’t respect is attempting to railroad a constructive multi-stakeholder process and a larger dialog about sustainability within aquarium fisheries worldwide in order to further one’s own ethical agenda. Like many of the fisheries about which I write, aquarium fisheries are far from perfect, but they are also not the monster Wintner makes them out to be. I have seen first hand, for example, how sustainable aquarium fisheries around the world can play a critical role in conserving reef ecosystems, supporting coastal villages and maintaining cultural identities and connectedness to critical resources. There are those who will say that I’m off on a tangent here. They will say that Operation Reef Defense is not about simply attacking the aquarium trade. After all, the press release issued today announcing Operation Reef Defense states the campaign is “a global campaign to end the destruction of coral reefs and the many threats they face worldwide,” right? Wrong. Look at the images on the website (see screenshot pictured here), and consider the emphasis on aquarium fisheries versus other anthropogenic stressors to coral reefs. If this campaign was really about defending reefs against the most significant impacts, wouldn’t we see pictures of terrestrial runoff, coastal development, carbon producing machines, and, yes, even mask and snorkel-wielding tourists trampling Hawaii’s reefs? Instead we only see images related to aquarium fishing. Isn’t it clear what’s going on here? My hope would be that the Sea Shepherd Conservation Society might take another look at Operation Reef Defense. I think we all know coral reefs worldwide do need defending, and I would invite Sea Shepherd to make this campaign about taking actions that will address the root issues, not further the agenda of an individual. If that were the case, I suspect more than one aquarist would become an ally in helping Sea Shepherd defend the world’s reefs, while at the same time insuring the marine aquarium fisheries on which their hobby depends continue to become truly sustainable fisheries that create real economic incentive to conserve and continue to inspire millions to care about that which lies just beneath the surface. Ret Talbot is an award-winning writer and photojournalist who writes frequently on sustainability issues. He lives with his wife, artist Karen Talbot, in Rockland, Maine. What happened to the recent Bill ( HHR?) that was submitted? It is a shame that in today’s World Wide Web misinformation is more popular than factual scientific data sets provided by the specialists that we so openly encourage and fund through a lot of government programs paid by us taxpayers. Transparency for truth is cast off when the motive becomes relative to political or monetary gain for many of these organizations. When pushed to provide their justification it becomes an opinionated moral motive. Very pigeon hole beliefs based on emotional and personal goals. It makes me wonder if they ever stopped to look at themselves in the mirror that they would see their own devil, and if they would stop for one moment they would see that humanity is not all evil doers like they want us to believe. But they have to keep moving for if they stop, reflection on their idealogy occurs and then reality hits them that they are as much of the problem. Division creates strife and very little action to resolve issues occur from that point on. It’s too bad, I would support people who would listen to reason. But keep driving those huge ships around burning 1000’s of gallons of diesel to protect your business. Fly in those jets to every rally to support global impact but please don’t question them!! Morality is relative. You may think it is absolute, but you would be wrong. Morality is defined by culture, and cultures vary greatly. Killing a cow or other animals fish is considered highly immoral in some cultures, not a problem in others, and a highly moral act committed for the nutritional and educational needs of humans in other cultures. That is why the rule of law, promulgated on reality, human equality, and the right of all cultures to exist within their own understanding of morality and even to proselytize that morality; but not to the point where it materially conflicts or destroys other cultures with differing views. Governments based on individual freedom do their best, or should do their best, to regulate human activities with great regard for cultural differences and great attention to moral values universal to the population. Robert Winter can attack the marine aquarium industry and the terrestrial pet industry as immoral for keeping fish and other animals in captivity as much as he wishes, he can also use irrelevant and inaccurate information to justify his position, but to the determent of his cause. And hopefully all that he and others like him will accomplish is the self satisfaction of expounding on a relative moral position that is rejected by the great majority of his fellow humans. Fortunately the moral position of most humans today abhors cruel and senseless treatment of animals, even with those we rear and catch for food and for their beauty and interest. We know that stability and sustainability are paramount to protection and conservation of our natural resources, and if civilization is to survive the challenges that lie not too distantly in the future, we must greatly step up our efforts to conserve our natural resources and protect the viability of our Earth. Ret Talbot tells it like it is! I am absolutely all for conservation and sustainable fisheries harvesting for both food and the pet trade, but, I am against the complete banning of aquarium fisheries because I see more good than evil in it. I learned to LOVE and CARE about the reefs and both salt and freshwater fish and their environments by keeping aquarium fish since I was 8. I echo Martin’s thoughts. Morality is indeed relative. Consider also the value of aquariums in endearing the oceans and rivers of the world to millions of people who might otherwise have no regard for their value to the earth. In proper context, aquariums, public or private, can do much to motivate the world’s populations to protect reefs, rivers and other wild habitats. a “relationship” with fish? this guy is irrelevant. it has always been my belief that it is harmful to continue giving him attention he doesn’t deserve. I want to weigh in on this issue, but first I must address something even more important. I’m sorry, but morality is relative? Is that an absolutely truth? The reason for challenging that statement is because it’s self-defeating. You can’t claim everything to be relative without making a statement that has to be absolutely true. This proves that absolutes always trump relativity. In addition, there is a vast difference between culture and morality. Culture is descriptive, morality is prescriptive. You can’t have it both ways. First, this man (and others like him) has a personal vendetta against the aquarium trade which is clearly and deeply routed in him emotionally to the extent that he is not able to process the facts as they stand without said bias. Hence the faux “morality” plea. What’s immoral, if anything, is promulgating his personal opinions and agendas on the unwitting public without providing any real documented proof to back it up. Secondly, and this is the really, REALLY big issue, the aquarium trade is a cold fish in a frozen pond being largely impotent to affect change on it’s circumstance from within. Much like the water we drink and the air we breath, the majority of hobbyists (not to mention the trade) are completely out of touch with reality. There are many much larger problems with the industry/hobby i.e., unsustainable harvesting techniques (cyanide and dynamite fishing STILL being one of the primary), corruption and poor infrastructure in many of the livestock source countries, general lack of cooperation/unity within the industry, and a nearly complete disconnect when it comes to the role and value of bricks and mortar retail aquarium store in the grand scheme of things. I have been a hobbyist for over 35 years and in the trade for over 25 years and the rate of change for the good in this industry could be compared to the pace of a snail on barbiturates. It’s pathetic. What’s more, those who ARE vocal tend to be verbally combative or worse, paranoid to the point that any sense of cohesion of thought is utterly missing. While Ret is one of the few I have ever read on this issue that seems to be interested in addressing it based upon the facts, I strongly believe that the bigger issue (as outlined above) needs even greater attention. The change that is required must come from within, starting with the product manufacturers and livestock importers/distributors, down through the retailers, and ending with the hobbyist. For it is the hobbyist that has the loudest voice and the best chance of defeating crusades such as this. If “we” were where “we” SHOULD be, this would be a non-issue, mounting at it’s peak to the sound of one hand clapping. Well…..now we can thank Snorkel Bob for wasting Tax Payers money having LOST to the State in his recent attempt at suing the State of Hawaii. He continues to grab at straws, but now it’s costing tax payers dearly. I only wish Sea Shepard will soon realize that his personal agenda will only do them harm, and they should not allow him to use their name to spew his exaggerated figures around to the unwitting public! Really a shame….and I am sure Snorkel Bob could do more good for the environment if he had a more practical approach. Too many times I have offered him an olive branch only to be rejected and publicly made out to be a bad-guy with quotes being published completely out of context….that was my reward for trying to open up to him and educate him to the reality of our industry….at least from our perspective. So yes everyone……the latest attempt to shut down the Aquarium Industry in Hawaii has concluded with the State of Hawaii coming out victorious. I am sure details will be published soon….the email with the details is circulating now. In the meantime, we as an industry must keep moving forward. I once worked for a large marine fish wholesaler. I spoke with many of the fisheries on the phone as they called and confirmed orders, or told us there were problems getting orders filled. One time, I was speaking to a guy in Hawaii and I asked why there were no Yellow Tangs available. He said it was because they had completely fished out this one inlet and they had to travel around to find another inlet that had them. Sometimes it takes a while. Especially if their regular spots are fished out. I would see hundreds of Yellow Tangs come in – some so tiny that they had a hard time fighting against the current in the wholesalers systems. They were almost see thru like they had just dropped out of the water column. And in a day or two – they would all be shipped out and gone like they never had been there. This wasn’t just yellow tangs either. Powder Blues, Achilles … the numbers of these fish imported to just one wholesaler alone used to overwhelm me. I had been a hobbyist for many years prior to working in the industry. This really was an ender in my interest in the hobby. The waste and lack of care by not only the shippers, but the people that unpack the fish at the wholesalers is surprising too. Mostly using illegal or immigrant workers that do not speak english, the bags of fish and corals are flipped around in an unkind manner to the point where I was seriously amazed any of them lived to be shipped. Even at the retail store level …. one guy came in once a week and bought a clownfish. After 15 clownfish I asked if he was breeding them. He told me no, he couldn’t keep them alive. So he’d just buy a new one every week after it died. To a lot of hobbyists (especially ones that love shows like Tanked) these fish are pretty furniture. After working at a wholesaler and a retail business; I do see that someday the hobby will be shut down because of the practices currently in place. It wouldn’t surprise me at all if this follows through. We did this to ourselves. Our greed in selling amazing rare fish and rare cherry corals. If these things are so rare – they should be left in the ocean to procreate and make more. Not have an ‘iffy’ chance of living in our aquariums in hopes our glass coffins will sustain them. What fools humans are. The arrogance is astounding. I once worked for a large marine fish wholesaler. I spoke with many of the fisheries on the phone as they called and confirmed orders, or told us there were problems getting orders filled. One time, I was speaking to a guy in Hawaii and I asked why there were no Yellow Tangs available. He said it was because they had completely fished out this one inlet and they had to travel around to find another inlet that had them. Sometimes it takes a while. Especially if their regular spots are fished out. I would see hundreds of Yellow Tangs come in - some so tiny that they had a hard time fighting against the current in the wholesalers systems. They were almost see thru like they had just dropped out of the water column. And in a day or two - they would all be shipped out and gone like they never had been there. This wasn't just yellow tangs either. Powder Blues, Achilles ... the numbers of these fish imported to just one wholesaler alone used to overwhelm me. I had been a hobbyist for many years prior to working in the industry. This really was an ender in my interest in the hobby. The waste and lack of care by not only the shippers, but the people that unpack the fish at the wholesalers is surprising too. Mostly using illegal or immigrant workers that do not speak english, the bags of fish and corals are flipped around in an unkind manner to the point where I was seriously amazed any of them lived to be shipped. Even at the retail store level .... one guy came in once a week and bought a clownfish. After 15 clownfish I asked if he was breeding them. He told me no, he couldn't keep them alive. So he'd just buy a new one every week after it died. To a lot of hobbyists (especially ones that love shows like Tanked) these fish are pretty furniture. After working at a wholesaler and a retail business; I do see that someday the hobby will be shut down because of the practices currently in place. It wouldn't surprise me at all if this follows through. We did this to ourselves. Our greed in selling amazing rare fish and rare cherry corals. If these things are so rare - they should be left in the ocean to procreate and make more. Not have an 'iffy' chance of living in our aquariums in hopes our glass coffins will sustain them. What fools humans are. The arrogance is astounding. Well.....now we can thank Snorkel Bob for wasting Tax Payers money having LOST to the State in his recent attempt at suing the State of Hawaii. He continues to grab at straws, but now it's costing tax payers dearly. I only wish Sea Shepard will soon realize that his personal agenda will only do them harm, and they should not allow him to use their name to spew his exaggerated figures around to the unwitting public! Really a shame....and I am sure Snorkel Bob could do more good for the environment if he had a more practical approach. Too many times I have offered him an olive branch only to be rejected and publicly made out to be a bad-guy with quotes being published completely out of context....that was my reward for trying to open up to him and educate him to the reality of our industry....at least from our perspective. So yes everyone......the latest attempt to shut down the Aquarium Industry in Hawaii has concluded with the State of Hawaii coming out victorious. I am sure details will be published soon....the email with the details is circulating now. In the meantime, we as an industry must keep moving forward. a "relationship" with fish? this guy is irrelevant. it has always been my belief that it is harmful to continue giving him attention he doesn't deserve. Yeah this is a great idea. I think they tried it with prohibition and the war on drugs. All it's gonna do is shove fishing into the black market and drive prices up! And where there is money to made people will kill for it. I see it causing black market type overfishing because of the huge potential to make money. No one even cared about the ocean until they come into my house and see my tank. Then they understand its not just a bunch of vast empty water, but a whole world of life working hand in hand in beautiful harmony. Then they really get angry and involved about oil spills and coral bleaching. I never understood why the ocean is so sensitive to change until I had to create the ocean in my house. I, and everyone else who's seen my tank, now see why it's important to keep the oceans alive. They are amazed by what they do at any given moment. And I take great pride and responsibility in my tank and its inhabitants. Didn't really care much about the ocean until I got my tank and now I'm a full on activist for sustainable reefing, fishing and captive breeding. The home aquarium shows everyone else who's never even been to the ocean or in land locked states how beautiful the ocean is. And now that I understand I can start to help. If it wasn't for my aquarium I would have been another person who said " who cares about the oil spills and coral, the ocean is just empty space anyway."